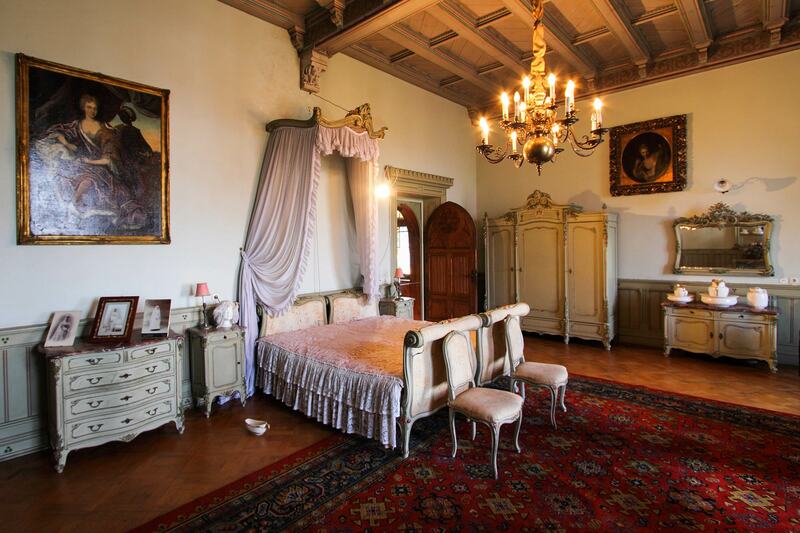 Whereas all of the other rooms are redolent of medieval times (the Neo-Romanesque and Neo-Gothic), thus fitting in with the character of the Castle grounds, the bedchamber is reminiscent of an elegant pleasure palace - especially because of its furnishings in the Neo-Rococo style. This room was reserved for important guests, in particular the Dutch Queen Emma, who often spent summers in Bad Bentheim until her death in 1934. The connection to the Dutch Royal Family remained very close until the outbreak of World War II. In Kronenburg Castle you may visit the Hall of Knights, the Refectory, a Bedchamber furnished in the Neo-Rococo style, the Ernst-August-Salon and the Library. You will find our Carriage Exhibition at the “Lace Bonnet” in front of Kronenburg Castle.